TVS Motor Company has just launched the refreshed TVS Apache RTR 180 for Rs 84,578, and the RTR 180 ABS at Rs 95,392 (both prices, ex-showroom New Delhi). 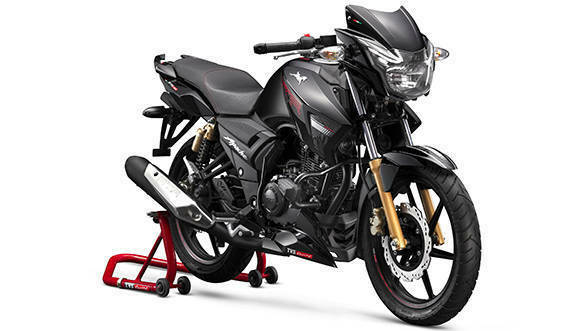 For the 2019 model year, the TVS Apache RTR 180 features some refreshes over the current model including new race-inspired graphics, and a revised instrument cluster. Mechanically, however, the Apache RTR 180 remains identical to its predecessor. The RTR 180 ABS variant features dual-channel ABS. The refreshed model includes a white back-lit speedometer with dial-art, Alcantara-like finish seats, a crash guard with integrated frame sliders and forged handlebar end weights. 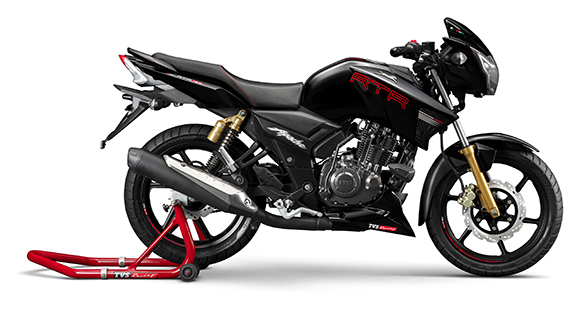 TVS is offering the 2019 RTR 180 in five colour options, Pearl White, Gloss Black, T Grey, Matte Blue and Matte Red. The styling is based on a racing carbon fibre theme, further accentuated by the new race-inspired graphics. The motorcycle remains mechanically unchanged and is powered by a 177.4 cc single cylinder, four-stroke engine which puts out 16.62PS and 15.5Nm. This is paired with a five-speed manual. The 139 kg bike returns a fuel efficiency figure of 43 kmpl and has a claimed top speed of 114kmph. The motorcycle primarily competes with the likes of the Suzuki Gixxer, Honda CB Hornet and Bajaj Pulsar 180.